So what does Wellness mean to me…. Wellness to me is when you are able to live a life filled with health, vitality, energy, enthusiasm and purpose. Wellness is a lifelong process and is multi-dimensional as it consists of the physical, mental, spiritual, emotional, occupational and social component. When we balance these components we experience Ultimate Wellness and life feels great and we are happy. We radiate from the inside out and we connect easily with others. When we are “out of balance” our health will suffer. This often also affects our self-esteem. Now, if we neglect the “out of balance” situation and the bodies signals, we may develop lack of self esteem or confidence and eventually dis-ease or chronic illness. Many of our most common diseases can be prevented by taking care of our selves so take good care of yourself – both your body, mind and soul. “Wellness is a state of complete physical, mental and social well-being and not merely the absence of disease or infirmity” – The World Health Organisation. Wellness is really important to me. To me, wellness means that you don’t just look after your body, you also look after your mind and spirit. You need to look after “all” of you and love yourself. After many years of training/coaching people on the physical side I started to feel the need of changing the path slightly and study the mind. I started studying NLP which stands for Neuro Linguistic Programming and became a Certified Coach which also include a technique Time Line Therapy and also Hypnotherapy. I am also a certified Food, Lifestyle and Wellness Coach as well as an Essential Oil Coach. I am now exciting to open the Surfcoast first Body, Mind and Spiritual Aromatic Healing Centre and Shop in the heart of Torquay! 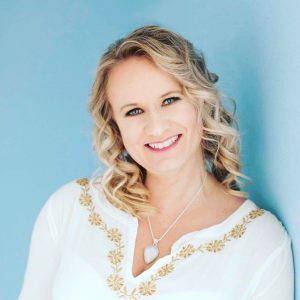 “I am passionate about the body/mind connection and think it is equally important to develop yourself mentally as well as physically”. As a Lifestyle, Food and Wellness Coach I combine Coaching Psychology, Behaviour Change and Positive Psychology. The individual is always in the driving seat maintaining responsibility for any changes, whilst I just helps facilitate the process. If you need help achieving your wellness & wealth goals I would love to help you. I can provide the structure, accountability, expertise and inspiration to enable you to make the changes you need to achieve ultimate wellness. Make sure you check out aspire’s Services/Pillars of Health (under the main menu). This is where you can read more about what Aspire Wellbeing can offer You. I started to row when I was about 16 years of age. One of my friends used to row and her dad was also very involved in the local rowing club in Halmstad, Halmstad Gymnastic and Rowing Club. So, I decided to give it a go. I started of by rowing in a double scull with her dad then later on I started rowing with my friend. Soon after I also gave the single scull a go. I loved it! But, what a lot of people did not know, was that i was petrified of the deep water. I was so scared of falling in and so scared of the dark water. Luckily I did not fall in until a lot later on and by that stage I was ok with being “on” the water. It did not take long until I was asked to represent my country Sweden. I was thrilled to be asked to go and compete for Sweden in Finland in 1985. I was so young and so in experienced and to be part of a team of very experienced sport people was amazing. I think I got the ‘taste’ for it then and decided to do my best to excel in the sport. In 1986 I was selected to represent Sweden in Single scull. The event was held in Cologne. I was still very new to the sport and did not have much experience. I don’t think I really realized was I was up for. Shortly after arriving at the rowing course a very tall and muscly – actually Huge – girl said “hi”. It was the tallest, biggest Chinese girl I had ever seen. I remember asking my coach who she was and when he told me she was one of the single scull girls that I was going to compete agains – then I truly felt like going straight back home. I thought, how can I ever beat that “monster”. Anyway, after overcoming, the fear of big competitors, I managed to do alright for a beginner in the end. I continued to row and represented Sweden numerous times around Europe in both single and lightweight double scull. I truly had a great time. During the summer 1990, me and another girl from Sweden was asked to represent Sweden in Luzern, Switzerland. This was a big selection race for the coming World Rowing Championships in Tasmania, Australia, later on that year. Me and my friend competed in the Lightweight Double scull. We did really well in all the heats and semi finals and ended up in the A-final. The A-final was very close. We ended up 4th, just a second after the 3rd, which was very irritating at the time, although, there were two German crews in the A-final which really meant we were amongst the top 3 best lightweight double in the world at the time. This is because Germany would only be able to send one of the good crews to the World Championships in Tasmania. So, we got selected to later on in that year represent Sweden in Tasmania, Australia. Below is the photo of the Swedish Rowing Team 1990. See if you can spot me…….I am the girl in the front on the right hand side. – Third at the under 23 World Championships, Linz, Austria in the woman’s single scull event. – Fourth at European Championships, Lucern, Switzerland in a woman’s lightweight double scull. – Second at the Scandinavian Championships, Oslo, Norway – Competed at the World Rowing Championships, Tasmania, Australia in the woman’s lightweight double scull. – Third at the under 23 World Championships Amsterdam, Holland in the woman’s lightweight double scull. – Third at the Swedish Nationals in lightweight woman’s scull. – Second at the Swedish Nationals in the lightweight woman’s single scull. – Competed at the World Junior Rowing Championships in the woman’s single sculls event. In late 2007, I decided to write my first book. Although it was something that I had been thinking about since I was very, very young. I thought it would be a great thing to do and I wanted to share my passions of health, fitness & Pilates. By August 2008 I was standing with my first book in my hand. That was a great feeling! Now, I could start sharing my passion and start to inspire people to keep a more active and healthy lifestyle. 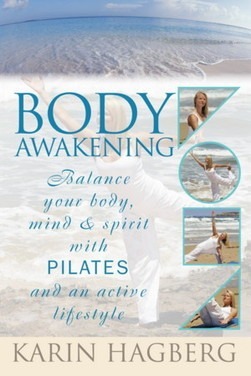 Here is my book “BODY AWAKENING – Balance your body, mind & spirit with PILATES and an active lifestyle” I launched my book in August 2008. The launch was held at my studio in Torquay. About 80 people turned up for the launch and it turned out to be a fantastic night. I am so grateful for everyone who helped out on the night! Have you ever wanted to get into better shape but thought it was too hard? Have you suffered an injury or illness that left you weak or in pain? No matter what your situation; it is never too late to changeand improve your fitness and overall wellbeing. Most of the problems people encounter or assume about fitness have more to do with their own mindset rather than with reality. How good health can be part of your lifestyle no matter your age. How to become more active and have more energy. How to set achievable goals and reach them. Where to find the self motivation to start and sustain an active lifestyle. How to set a healthy and good example for your family and children. How to find balance of body, mind and soul through Pilates. How to develop a “Pilates mindset” of awareness during exercise. “Changing old habits to new ones can be a daunting task, especially when it involves your own well-being. It will not only be a physical challenge – you will also have to challenge yourself mentally and spiritually. No change comes easily so be prepared to step out of your comfort zone. Keeping your focus on your ultimate goal will help you achieve it and will reward you with enormous personal growth. The only thing in between deciding on the goal you would like to achieve and when you achieve it is time. Fill this time with actions that steer you toward the goal, but make sure you have fun and enjoy the journey! This book is not just about why we should exercise or about the Pilates method – it is about total well-being through an active and healthy lifestyle. It does contain some exercises and stretches based on the Pilates method – which will help bring more awareness, focus, strength, and flexibility into your life. These exercises can be used by anyone including elite athletes, couch potatoes, teens, older adults, and fitness professionals.” The aim of this book is to inspire you to take the first step toward a healthy and active lifestyle. I hope it will give you an understanding and awareness of what total well-being is all about. Don’t just read this book; feel it and be aware when you read it, too. This book will give you the inspiration to start. Why don’t you make the decision right now to set some goals toward a healthier, more active lifestyle?